I get a lot of questions so wanted to help out by sharing my information I’ve learned along this sometimes slippery publishing path! I have a great story! What do I do? Start submitting it. The number one book I would recommend would be the “The Children’s Writer’s & Illustrator’s Market” – one comes out each year with the latest scoop on where to submit your stories to as well as what they’re looking for! This was the book I literally sat down and highlighted publishing companies I wanted to break into. 2. Any other books you recommend? I also recommend: Writing Picture Books by Ann Whitford Paul. You can find these books on Amazon. I think I ordered them all on Amazon. When you’re done, you can always lend them to another aspiring writer. You may even be able to find them at your library. The Children’s Writer’s & Illustrator Market is sometimes a reference book that you can’t borrow so I ordered my own as I really marked it up. 3. Do I have to join the SCBWI? The Society of Children’s Book Writers and Illustrators (SCBWI) is a great group to connect with. When my children were v.little, I was never able to make the time to go to a writing conference! At that time, the bulletins they send in the mail were helpful to me. The main thing I benefited from joining the SCBWI was a children’s book critique group. Once you find a good critique group, you feel as if you can accomplish anything! After my book was published, I was able to attend a SCBWI Southern Breeze writing conference and found it helpful but also v.inspiring! It’s what you need sometimes to get you out of that horrid writer’s block! 4. How do you make it in the publishing world? I’m still trying to make it for many more books, but I believe the number one thing would be persistence. There are going to be bunches of editors who don’t like your writing enough to make an offer, but there will be one waiting out there! Find that one by sending your stories in over and over again, after editing them of course! 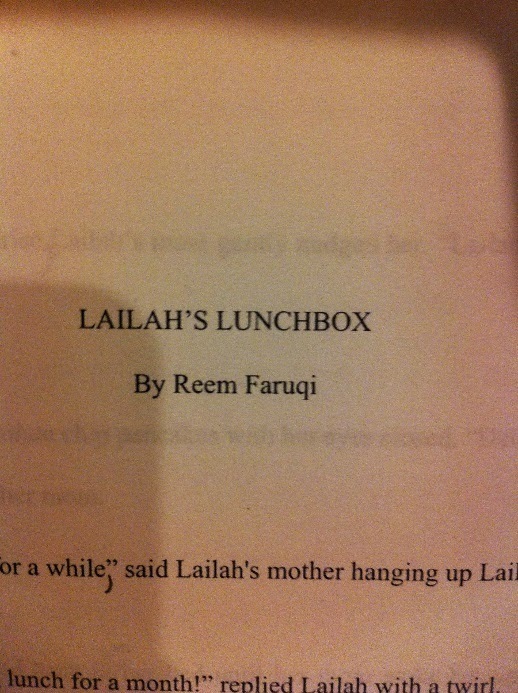 For more information and the long story on how I got Lailah’s Lunchbox published, click here! 5. Do you have an agent? I recently got an agent after Lailah’s Lunchbox was published. My agent is Kendra Marcus and Ilse Craane from Bookstop Literary Agency. I didn’t know a whole lot about the agency industry, but I looked up a few agents and started submitting my stories to. Kendra Marcus liked my work, but it’s important to know didn’t say yes on the first try. It took multiple stories (3 in fact) to produce a story that she liked enough to start pitching to the bigger publishing companies. Again, persistence is key! My husband was reading my email over my shoulder and was amused by how many times I had tried to get accepted by an industry and commented, “At this point, any other person would have just given up!” Such is the life of an author I feel! A good thing about having an agent is now I can work on just writing and not on printing or mailing in manuscripts, the hardest part for me! Also, a good thing about trying to get an agent is a lot of them accept and read your stories through email — BIG plus for me! 6. How do you write around little children? Trying to write and mothering young children can be very tricky! I have a two-year-old and four-year-old and have learned that you get better at working through interruptions. When I’m writing, I’m usually receiving interruptions from my children to take them to the bathroom, for another snack … the list goes on! When my four-year-old is at school, I have my interruptions cut in half with just my two-year-old’s needs. That’s when I feel I get the most writing done. I do try to write sometimes at night when the children are asleep and find it semi-successful. I find I work best during daylight. I love natural light and find it conducive to working and getting my ideas flowing.At night, it is easy to feel tired after a busy day! I do think it’s important though to rest when your children are resting as that time is precious and when your mind is rested, it is easier to write. Sometimes whole stories will pop in my head when I am doing something random like getting my children ready for bed. It’s as if I can visualize the story, the words, the illustrations, but sometimes when I sit down at the computer, it is frustrating when that story disappears! But if it’s a good story, I believe it will resurface. For those trying to write and raise children, I would tell them there is no such thing as having it all! You may have a great manuscript you’re working on but you will be eating left-overs for dinner for the third day in a row and children that need a bath! Or you may be itching to write a story, but find yourself caught up in bathing children, cooking food, laundry, dropping and picking up children from school, etc! For more details on how I write around children, click here. 7. How did Lailah’s Lunchbox come about? How I Write Around Children! – Interview by Cynthia from Cynsations! How I Got a Book Deal! 8. Could you tell us the story of “the call” or “the email” when you found out that your book had sold? How did you react? How did you celebrate? I got a flurry of emails until the “Yes” email! I made a list of six agents and six publishers to send Lailah’s Lunchbox to. I mailed the manuscripts on May 30 and tried to distract myself with other things. On June 16, I received an email with the subject ‘Your Manuscript’ in my inbox. That was enough to make my insides leap! The email was from Fran Hodgkins, the Director of Editorial Design at Tilbury House, saying I had sent my manuscript to their old mailing address and that it had been re-routed to their new address. This is the wrong address for Tilbury House! Fran said she enjoyed reading it and was sharing it with the co-publishers, Jon Eaton and Tris Coburn, as well as Audrey Maynard, the editor. She went on to say my story was a unique take on Ramadan and she was glad I thought of it. She wanted to know if I had received a response from any other publishers as yet. I wrote back saying I hadn’t heard a response yet and then went on to forward the email to my aunt who was the person who had encouraged me to send in Lailah’s Lunchbox. She was just as excited as I was! I checked my email a lot that week but no response. A week later I followed up with Fran asking if she had any response from her co-publishers to which she responded that they were meeting the next day to discuss my story. I didn’t hear anything from them the next two days. Then on June 24, Tilbury House Publishers followed me on Twitter (@ReemFaruqi). At this point, I started to get more hopeful. I was going to wait and have our children’s book editor call you, but I’ll take this opportunity to say that we really like your manuscript and would like to publish it. 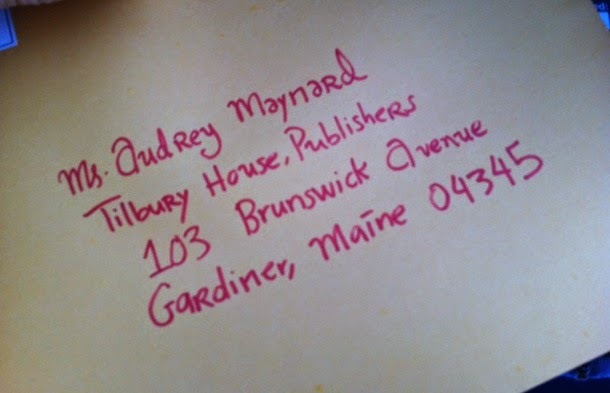 I’m CCing Audrey on this email, as she is the one who’ll be working with you closely and our publisher, Tris Coburn, will be in touch to talk terms. If that all sounds good to you, let me know…. I then took the next 20 minutes to celebrate. I couldn’t believe that I finally got a Yes! My two-year-old had just gone down for a nap so I couldn’t tell her and I had to celebrate semi-quietly. My husband was teaching so couldn’t phone him up to tell him. My four-year-old was at school so couldn’t tell her either. Thanks for the quick reply. I couldn’t wait long enough for the editor to call me. Yes, this sounds amazing and I so excited! Looking forward to talking with Tris Coburn. Within the next few days, I spoke with the publisher Mr. Tris Coburn and Ms. Audrey Maynard, the children’s book editor. It felt surreal to be talking to people whose names I had admired. That night I went over to my mother’s house and we had a cozy family dinner to celebrate! 9. In your opinion what are a few qualities a writer must have in order to be successful? Persistence – because you will get those rejections! I suggest recycling them or using them as book marks – I have done both! Passion – if you love to write, the rest should fall into space. Give it Time. It may take a month, it may take years! Read – Read as many books as you can! Read new releases, old releases, anything and everything. It helps strengthen your writing. Edit – Find a good critique group. Trust Them. Trust Yourself. 10. How do you choose an illustrator? The publisher chooses one for you. It’s typically out of the author’s hands unless you self publish. If you’re lucky, the publisher may give you some options or ask you a style you prefer but ultimately its their decision. For example, for Lailah’s Lunchbox I said I liked watercolors. My illustrator Lea Lyon was perfect for the job! I also enjoyed bonding with her. She is Jewish and I’m Muslim so I thought that was pretty neat. I found the author-illustrator relationship fascinating and loved how she brought my words to life! I get asked about more books ALL. THE. TIME. I’m working on it. I really am! Writing is my passion and now with an agent, I’m hoping to get more stories cranking and out into this world! Exciting update: 2 new stories – Amira’s Picture Day (Holiday House) and Let Me Show You The Way (Eerdmans) are projected for publishing in 2019! For more information on these new and upcoming stories click here for the scoop!